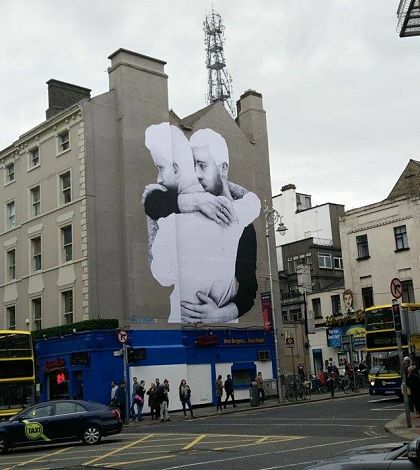 Residents of Dublin’s South Central constituency – including the Liberties – have voiced their overwhelming support for marriage equality, a recent poll has shown. Results of the poll, conducted by The Liberty, show 70% of respondents in favour of a Yes vote in the upcoming referendum on May 22nd, with 12% of respondents intending to vote No while 18% remained undecided. The poll was conducted across the Dublin South-Central constituency, comprising a random sampling of 253 respondents which equates to a margin of error of approximately 6%. Debate and tension is building as the referendum date approaches, with both sides engaged in heated exchanges over poster campaigns. Tanya Ward, chief executive of the Children’s Rights Alliance said it was distressing to see children being used as pawns in the debate, referring to recent posters from the No campaing involving references to child upbringing. “This referendum in no way undermines the rights of the child. If it did why would this coalition of organisations have organised themselves around BelongTo to support a Yes vote. It wouldn’t have happened,” she said. A recent attempt by the No side to have the large mural on George’s Street removed has seen more than 19,000 people sign a petition imploring its retention.